Construction of a long-delayed wheelchair-accessible pedestrian bridge over Sukhumvit Road again got the green light to proceed after a neighboring pawn shop lost its lawsuit against the project. 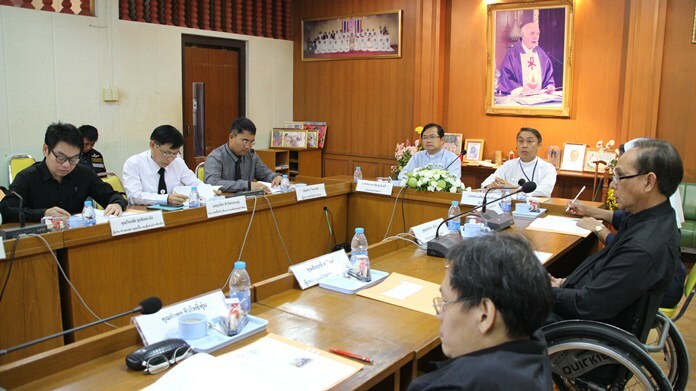 Redemptorist officials announce construction of a long-delayed wheelchair-accessible pedestrian bridge over Sukhumvit Road was again given the green light to proceed after a neighboring pawn shop lost its lawsuit against the project. 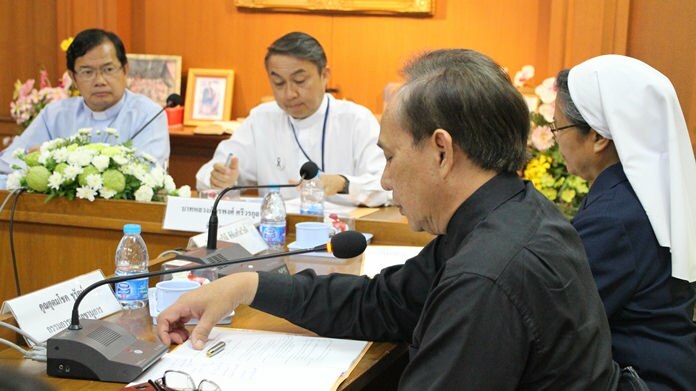 Udomchok Churat, director of the Redemptorist Vocational School for Persons with Disabilities, said at a Nov. 16 board meeting that the ruling against Pattaya Money Service will allow the overpass in front of Pattaya City School 5 to proceed as soon as new funding is secured. 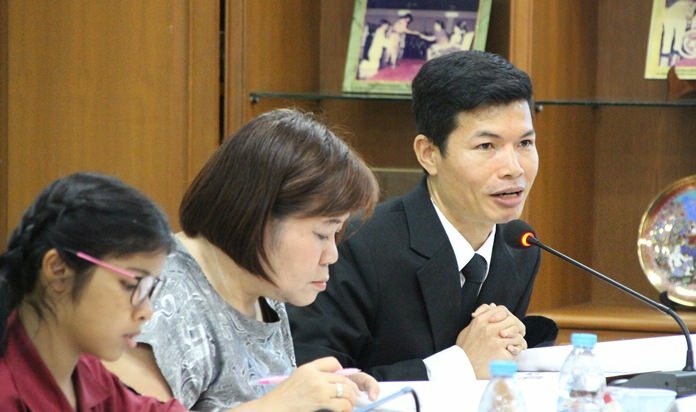 The operator of the Pattaya Pawn Shop in March sued to block the project, claiming the bridge will allow thieves to stake out the shop, putting customers with cash or valuables at risk. In addition, there are several banks in the area that could be cased for victims by robbers hanging out of the bridge, the company asserted. The lawsuit threat is only the latest of many delays to plague the project first proposed in 2011. The next delay will be waiting for funding, which was diverted to other projects after the lawsuit was filed. 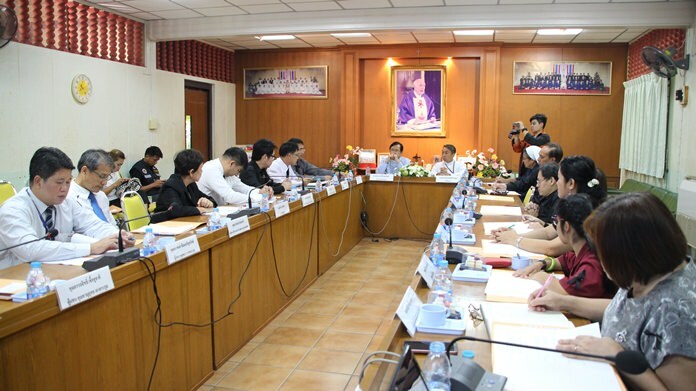 Pattaya City Hall is now requesting an urgent budget be allocated to the Highway Department to complete the bridge.